The European Central Bank has made a new, though much smaller, step toward tightening of its monetary policy. The Governing Council decided unanimously on March 8th to remove its easing bias regarding the size and/or length of the net assets purchases programme (APP) - one of the non-standard monetary policy measures of the bank. The bias has been present in all ECB decisions since 2016 when the monthly pace of asset purchases was reduced from 80 bn euros to 60 bn, and said that "if the outlook becomes less favourable, or if financial conditions become inconsistent with further progress towards a sustained adjustment in the path of inflation, the Governing Council stands ready to increase the asset purchase programme (APP) in terms of size and/or duration". In its 8th March statement, it is only said that the net asset purchases will continue with a monthly pace of 30 bn euros until the end of September 2018 or beyond, if necessary, or in any case until the Governing Council sees a sustained adjustment in the path of inflation consistent with its inflation aim. 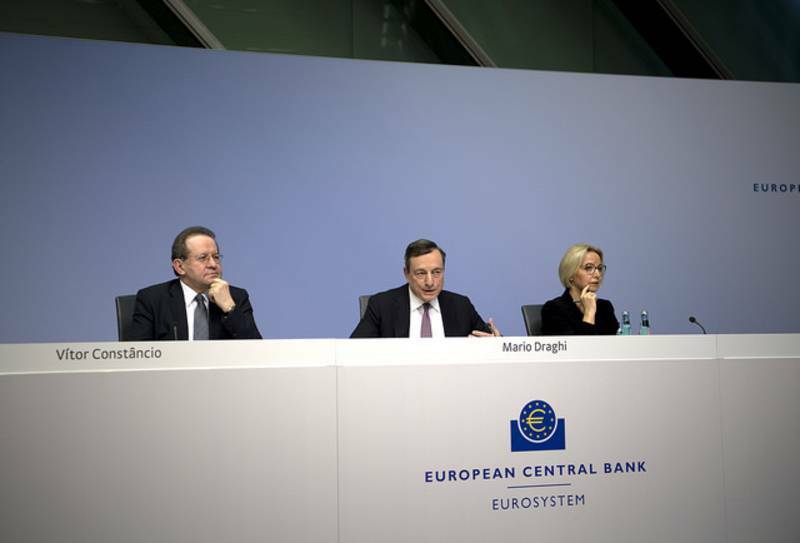 At the press conference after the Governing Council meeting, ECB President Mario Draghi recalled that the easing bias is not entirely removed. It is maintained in the other monetary policy measures, such as the reinvestment by the Eurosystem of principal payments from maturing securities purchased under the asset purchases programme, which will continue for an extended period of time after the end of the APP, as long as it is necessary. What imposes the change, according to Mario Draghi, is the economic growth outlook which gives the bank much more confidence that it will achieve its inflation aim of close to but below 2%. Moreover, the scenarios that could demand triggering of the easing bias are much less likely. According to the March macroeconomic forecast of the ECB, the euro area real gross domestic product is expected to grow by 2.4% this year, 1.9% next year, and 1.7% in 2020. The forecast for this year is slightly corrected upward compared to the Eurosystem's predictions in December. The expectations for inflation, measured by the harmonised index of consumer prices, are 1.4% this year, 1.4% in 2019, and 1.7% in 2020. Compared to December, the forecast is corrected downward for 2019 but remains unchanged for this year and for 2020. Generally, the downside risks for the euro area growth outlook are broadly balanced. They continue to be related to mainly global factors, like growing protectionism and the developments at the exchange rates and other financial markets. 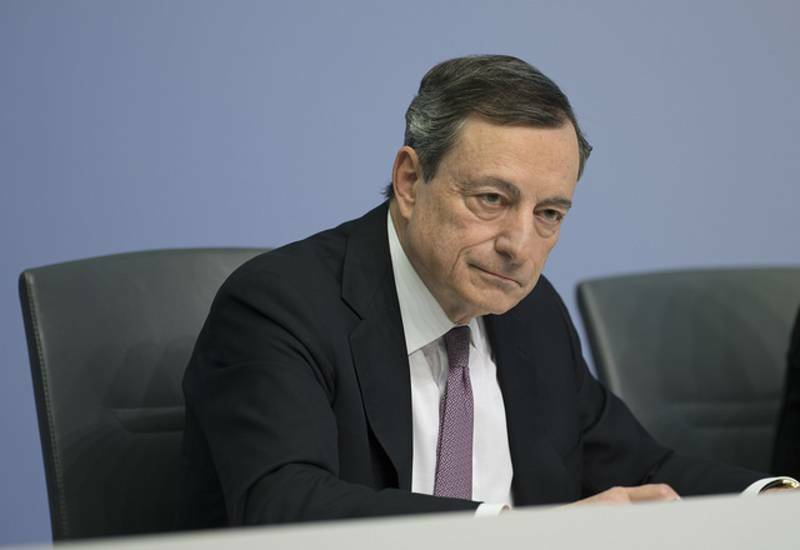 Mario Draghi was much more specific regarding risks that could lead to reducing confidence that the mid-term inflation objective will be reached during his speech at the conference "ECB and Its Watchers" in Frankfurt on 14 March. Then he explained that one of the downside risks is for a possible impact from the new trade measures introduced by the US administration. Those are the introduction of tariffs on imports of steel and aluminium. EU threatened with counter measures if it is not included in the already dynamically changing list of exemptions. ECB believes that the effect of these measures will be small in the first round but it is possible to have much more serious consequences in the second round, like a risk of counter measures on other goods and escalation of trade tensions. This could have a negative impact on confidence which could lead to consequences for business investment. The second risk outlined by Mr Draghi is again related to exchange rates and the behaviour of financial markets at large. The euro appreciated in the beginning of last year and, according to ECB analysis, since recently it has been driven by mainly external factors. Such a factor is the purchases of euros which cannot be explained only by economic expansion. This could also have an effect on inflation, Draghi said and pointed out that this factor has to be monitored closely. Because of those mainly external factors, ECB's monetary policy will remain cautious. In the words of the bank's chief, the asset purchases programme will continue to be necessary in order to keep the stimuli that are already priced in financial conditions on which inflation is also dependent. So far, the non-standard monetary measures have had a decisive impact on lending. The bank's analysis shows that growth of bank lending to firms in the euro area would have been half than it is today without these measures, and credit rates for companies would have been almost 50% higher. All monetary measures undertaken between mid-2014 and October 2017 (when the monthly pace of net asset purchases was reduced from 60 bn euros to 30 bn) had significant (positive) impact on growth and inflation. The bank's calculations show that they have moved upward in both cases by 1.9% cumulatively in the period between 2016-2019. 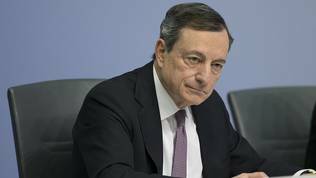 Interest rates will also remain without change way beyond the end of the APP, Mario Draghi reminded in his speech in Frankfurt on 14 March. Currently, they are as follows: on the main refinancing operations 0.00%, on the marginal lending facility 0.25%, and on the deposit facility -0.40%. The problem is, however, that inflation continues to torment ECB. Mario Draghi called on policymakers to be much more cautious than in the past when analysing the forecasts. The severity of the crisis shows that it can no longer be relied entirely on traditional historic relations to define how quickly real developments will translate into nominal. According to him, the main issues that need to be investigated are wage growth, its impact on prices, and possible risks for inflation outlook. Since mid-2016 wage growth has been going upward in the euro area by around 0.5% but it still remains atypically low against the backdrop of the weakening link between slack and inflation. In oder to make sure that inflation dynamics is moving as it should, wage growth and its translation into price increases should be stronger, Mario Draghi explained at the conference. After the presentation of the Governing Council decision, Mario Draghi made a strong appeal to the member states to invest more efforts in reforms. He noted the weak implementation of the Commission country-specific recommendations in the framework of the European semester, and called on the member states to work for building fiscal buffers. This is especially valid for countries with big government debt. The Governing Council also called for more specific and decisive steps to complete the banking union and the capital markets union. In addition to the risk of a strong global protectionism, Mario Draghi outlined another which, he said, was much less mentioned. This is the risk of financial deregulation in large jurisdictions. This is again a rebuke to the US where President Donald Trump started a process or massive deregulation. "We should not forget what the situation was before the crisis – in the years leading to the crisis. Like today, we had an expansionary monetary policy which was justified by the conditions at that time, as ours is justified by the conditions today. But in the 10-12 years before the crisis, there had been a systematic disruption of financial regulation in the major jurisdictions. This combination, we may disagree whether the source was predominantly one or the other, but certainly nobody would disagree about the combination of the two. I would flag this as one major risk for the years ahead: that we repeat the same mistake", Draghi said on March 8th. He quickly added that this is not about the euro area where neither national lawmakers nor the European ones are on this path. 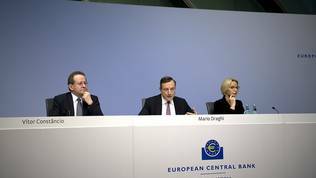 "We are talking about a global market and so massive deregulation in one part of the market is going to affect the whole world", the ECB chief warned.